BUDUDA – The government banned traditional midwives from delivering babies in 2010, in the hopes of improving infant-mortality rates. But eight years down the road at 336 deaths per 100,000 live births, the country’s maternal -mortality rate is still among the highest on the continent and the world at large. Reports at National Saving Mothers and Giving Life (SMGL) dissemination meeting indicated that despite the free prenatal care in government hospitals, many mothers, especially those in rural areas still prefer to go to the community midwives for deliveries. Dr. Godfrey Mulekwa, the Pallisa District Health Officer says it is sad that more than 60% of rural women prefer Traditional Birth Attendants (TBAs) to skilled midwives. “The traditional birth attendants cannot handle haemorrhage in women, which contributes to 42 % of maternal deaths and is the leading cause of death in maternal mortality in the country,” said Dr. Mulekwa. 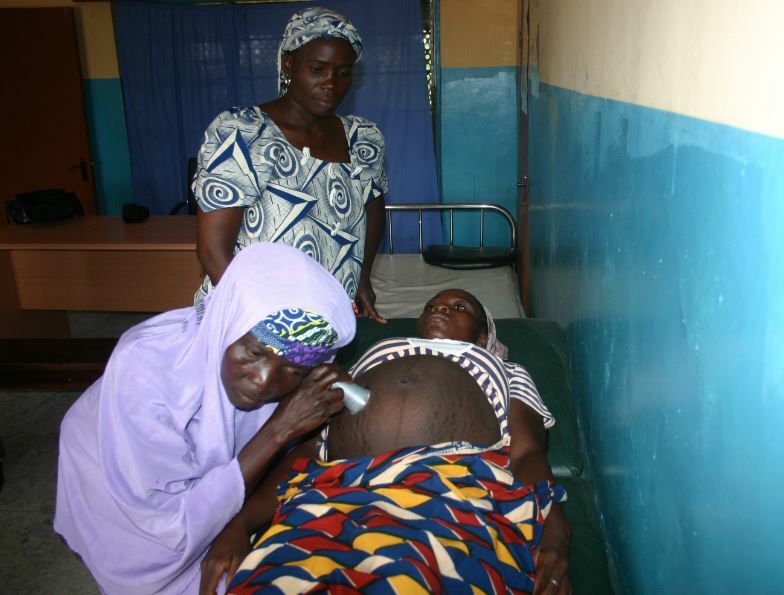 The Pallisa district health status report indicates that 27% of the expectant mothers in Pallisa district do not visit health centers for antenatal services. The report says that although giving birth at health centers has improved from 43-63% on average, the remaining 27% either deliver at home or visit TBAs. Catherine Alupo says expectant mothers prefer TBAs to skilled health workers for their better handling of mothers, politeness, counseling, and comfort during labour and childbirth. “The TBAs are affordable, available, accessible and approachable and are located in places where health centers are not, hard to reach areas,” says Alupo, a mother of three assisted by a TBA on all the three deliveries. She explained that the role of TBAs is vital to a rural woman and should not be under-looked; they are highly respected members and proven assets in addressing poor maternal outcomes. “TBAs have contributed to successful maternal, neonatal and child health interventions in hard-to-reach areas and if you abolished them, are you going to have no new cases of fistula or will you completely reduce the maternal deaths to Zero per 1000 every year?! added,” Ms. Alupo added. Dr. Muhammad Mulongo, the District Health Officer for Bulambuli district says the poor services at health facilities and demand factors such as poor transport systems, the terrain of the areas, inadequate information, lack of access to finances and community behaviors may be responsible for the sluggish progress in reducing maternal mortality. “Like other LMICs, the maternal and prenatal deaths in Uganda occur from complications that occur during pregnancy, at the time of and after delivery and the majority of maternal deaths are due to direct obstetric causes are linked to delays at the TBAs,” said Dr. Mulongo. He explained that on the demand side, poor transport systems, poor services at the health facilities, inadequate information and poverty were mentioned as the factors that stop rural women from utilizing and accessing maternal service. He urged government to provide essential drugs/equipment, health workers in health facilities and to address community challenges that stop some of the women from delivering at the health facilities. Dr. John Baptist Waniaye, the commissioner for emergency medical services at the health ministry, said government is using the multi-sectoral approach aimed at improving service delivery across the country to ensure expectant mothers don’t deliver at TBAs. He noted that among many existing services to expand service delivery, procurement and effective use of ambulances were important to improve the quality of care for emergency cases by ensuring quick response during emergencies. “The key resources for operation are human resources such as ambulance crews, fuel, and maintenance of the ambulances is crucial to effectively run the ambulances and the Ministry is developing an Emergency Medical Services Policy, Standards, and Strategy which will spell out the coordination of ambulances in different regions in the country,” Dr. Waniaye said. Dr. Imelda Tumuhaire, the Medical Superintendent Bududa Hospital asked government to check Traditional Birth Attendants’ activities in rural areas in order to reduce on the infant and maternal mortality rates. Dr. Tumuhaire said whereas it is vital to integrate TBA in aiding pregnant mothers far from health centers in delivery, the TBA should be restricted from handling certain cases beyond their means. He revealed that pregnant women suffering from Hypertension, Diabetes, pressure, those expecting twins and those above the eighth delivery have died in rural areas unreported during delivery in the hands of TBA. US Ambassador Deborah Malac, while speaking at the launch of the National Saving Mothers and Giving Life (SMGL) at Protea hotel in Kampala in July, said they have joined the celebrations for launching the SMGL since every two minutes a woman dies somewhere during pregnancy or childbirth. “We are here because an estimated 80% of maternal and newborn deaths are preventable with the implementation of known evidenced-based, high-impact interventions. We want to save that 80%,” Ms. Malac said. Ms. Sarah Opendi, the state minister for health [General duties] said government is aware that, nearly 35% of women in Uganda, especially those in rural areas, deliver from banana plantations or at TBAs although the country has more than 55% access to health facilities. Ms. Opendi said government health facilities have much more to offer a mother than what many people think. She revealed that government through the ministry of health has trained the Village Health Team workers, recruited new health workers, refurbished health facilities, the availed transport system to have quality services in these districts and that there was no reason why an expectant mother should go to TBA. “I am asking expectant mothers to go to government facilities for deliveries in the hands of qualified/skilled health workers because their babies will be immunized at birth, something that is not the case with deliveries done in the villages or banana plantations,” she said. She said her ministry was pushing for a policy that would require all expectant mothers to visit health facilities at least 8 times from the four times during the pregnancy cycle to reduce the risk of stillbirths and pregnancy complications at TBAs. She said as Uganda is struggling to contain the high maternal mortality rates, it was important that district leaders worked jointly with the communities to identify the TBAs in rural areas and stop them from handling deliveries to avoid deaths.